As a homeowner, one of the challenges that you must overcome is keeping up with home maintenance especially plumbing. This is because many areas need to be inspected to ensure that you have an efficient plumbing system. Otherwise, you will be suddenly confronted with a toilet that won't flush, water dripping through the ceiling, no hot water, toilet cracks, blocked sinks, pipes in the wall begin to leak and an over the roof water bill. A smart homeowner will understand that small and frequent maintenance expenses far outweigh the cost of having to replace the entire plumbing system. Maintenance is all about addressing small problems before they get out of hand. Plumbing issues, though often neglected are synonymous with quality of life. Many people do not see the vast majority of a well-functioning plumbing system since they tend to assume that everything is working as it should; that is until there is a problem that cannot be ignored. Sadly, by then, they are left with a huge mess and ultimately, an expensive bill. Odds are, you do not regularly schedule for plumbing maintenance as you do for your car, phone, and other appliances. Well, to prevent minor plumbing issues from becoming an utter nightmare resulting in lasting and irreparable damage, you will schedule a professional plumbing inspection of your entire plumbing system. 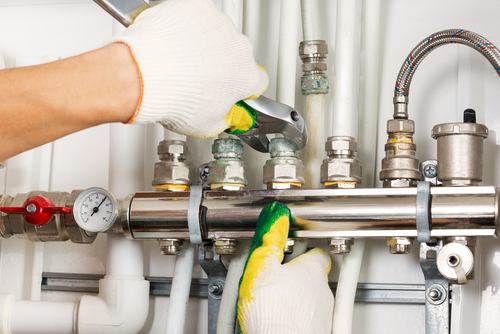 For a plumbing system to be in its optimal shape, negligence is not an option. Why concern yourself with plumbing maintenance issues? Plumbing maintenance and repair is a convenience in your home that plays a significant role in your everyday life. Properly maintaining you plumbing systems is important for many reasons including your comfort, your health as well as upgrading your home's value. Refined maintenance of any home's plumbing is essential to keeping sufficient flow of clean water, conservation of water, saving on energy bills and correctly flushing waste out. The state of your plumbing system has a significant impact on the quality of water running in your home. Lack of proper maintenance will result to mineral build up in the pipes and the water heater. If this happens, after a short while, the buildup will be dislodged and carried along with water. Your water will become discolored, have an unpleasant taste. Mineral buildup in the pipes and water heater may also cause corrosion hence developing leaks. By taking good care of your plumbing system, you lengthen its lifespan. This way, you reduce the overall cost that you would otherwise have incurred during a plumbing replacement. With regular maintenance, you enjoy the full benefits of your plumbing system for the entire functional lifespan of all the plumbing fixtures and appliances. 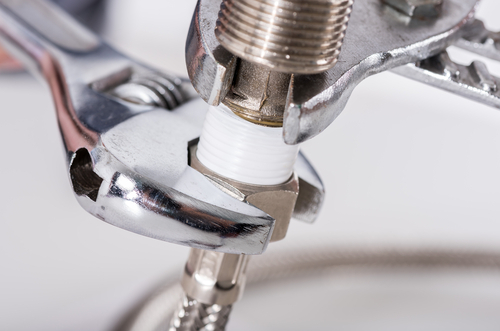 Ultimately, proper plumbing maintenance will allow you to enjoy the comfort of your home. 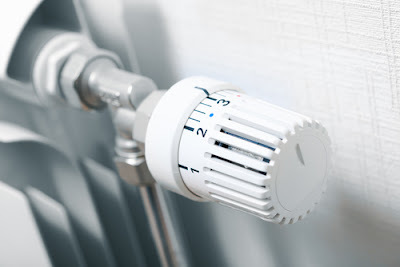 There will no longer be room to worry about petty yet annoying issues such as lack of hot water, poor appliance performance, insufficient clean water and the waste of your time and money. An efficient and effective plumbing system means enjoying each day as you should. When thinking of your plumbing system, before you hire a professional and licensed plumber, it is imperative first to realize the fact that your daily activities can affect your plumbing systems. Therefore, you also need to care for your plumbing on a regular basis. Here are simple daily maintenance tips for your plumbing system to make sure that you minimize plumbing headaches. Persistent water leaks in the bathroom could get worse over time. Is the toilet water continuing to run? Do the faucets and showers leak? If so, make sure to fix them. The small amount of water leaking may seem insignificant but cause high water bill and can turn out to be irreversible. Always clear slow drains in the sink and the tub. Debris affects the flow of water causing a blockage. Your toilet, sink, and tub should always have a full swirl while draining. Also, move the toilet gently once in a while to check for cracks, leaks, and loose fittings and to ensure that there is so sign of water around the toilet. Check the inside parts of the flushing tank to see if the flushing handle is working properly, if any parts are rusted, broken or missing. Kitchen sinks and drains often block due to the wrong type wastes and debris going down the sink. First and foremost, to prevent these clogs, ensure that you do not put oil down the sink. This includes things like butter and cooking oil. Another common reason for clogged sinks and drains in the kitchen is the improper disposal of garbage. Inspect the bottom and the top of the sink for any leaks, always turn on your water before cleaning dishes to make sure that all the food wastes are flushed out to the main line. Cleaning the kitchen sink will keep the water flowing and never put fibrous foods in the disposal since they are hard to grind up and will likely cause a blockage. • Water Heater - Make sure that the water heater is functioning efficiently that is there are no leaks, corrosion or sediment build up. • Water pressure - High water pressure can result in accelerated wear of the plumbing system, bursting and leaking of pipes or even worse failure of fixtures and appliances. Do not forget that you don't have to handle all your plumbing issues alone. Your local plumber is there to clarify that your plumbing system is running as it should. However, choosing a plumbing company can be overwhelming. Nonetheless, only a highly skilled plumbing company will perform a comprehensive evaluation of your plumbing system. Therefore, for honest and exquisite plumbing services, hire a company that has earned a reputation for exceptional plumbing and customer services. A company that is insured and licensed and is conscious while working in your home will not only make you feel at ease while they work but they are also likely to deliver the best services. Always turn to your plumber if you have any questions or concerns.